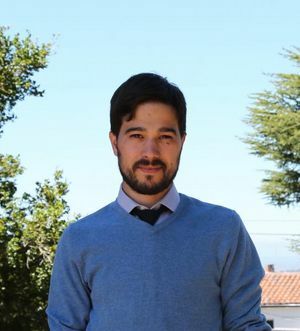 Dr. Filipe Maia’s research and teaching focus on liberation theologies, the Christian eschatological imagination, theology and economics, and Wesleyan theology. His scholarship pays special attention to the ways in which imaginaries about the future shape politics, economics, cultural patterns, and religious practices. Employing sources ranging from Latin American liberation theology, Marxist philosophy, and contemporary writings on finance, Professor Maia’s doctoral dissertation builds a theological critique of the temporality of financial capitalism proposing alternative ways of imagining the future. “Fora da Relação não há Salvação: Por uma Soteriologia Relacional a partir de Martin Buber e Jürgen Moltmann,” in: Claudio de Oliveira Ribeiro (ed. ), Jürgen Moltmann: Teologia em Foco (São Paulo: Fonte Editorial, 2015). "'With What Can we Compare the Kingdom of God?' Latin American Liberation Theology and the Challenge of Political Projects.” Union Seminary Quarterly Review (v. 64, n. 3/3: 2013). Helmut Renders & Filipe Maia, “Os ‘Pensamentos sobre a Escravidão’ (1774) de John Wesley: introdução e tradução para o português brasileiro.” Caminhando, São Bernardo do Campo, Brazil (v.18, p.153-181, 2013). Joerg Rieger. Graça sob Pressão: negociando o coração das tradições metodistas, traduzido por Filipe Maia (São Bernardo do Campo: Editeo, 2012). Translation of: Joerg Rieger, Grace Under Pressure: Negotiating the Heart of the Methodist Traditions (Nashville, TN: Board of Higher Education and Ministry, The United Methodist Church, 2011). “De-Colonizing Heaven: A De-Colonial Reading of Columbus' Colonial Soteriology”. Apuntes (v.31, p.43-78, 2011).